Westlife confirmed for All Round to Mrs Brown's. 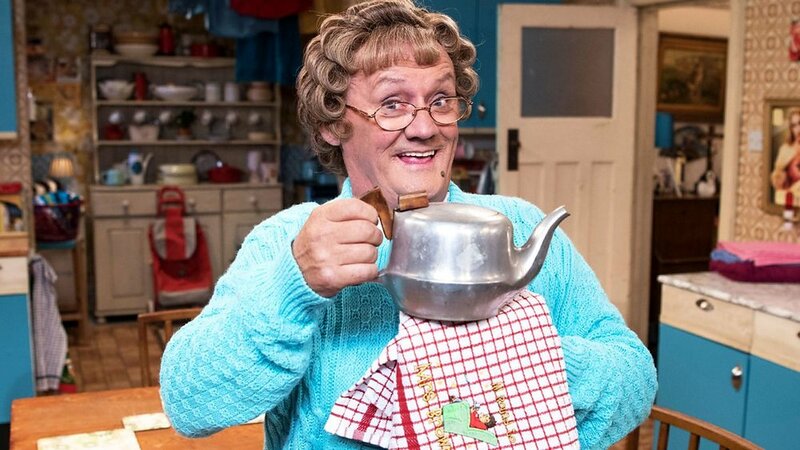 Irish man-band Westlife are to guest on All Round to Mrs Brown’s this Easter. Mark, Kian, Shane and Nicky will join Agnes (Brendan O’Carroll) in Foley’s Bar for the Easter Saturday episode of the hit comedy. They’ll be joined by EastEnders star Jake Wood, tv legend Lorraine Kelly and double Olympic boxing champion Nicola Adams. Catch the episode on Saturday 20 April at 9.10pm on BBC One. Daniel Radcliffe and Jodie Comer confirmed for The Graham Norton Show. Radio 1's Rave Lounge is back and here's how you can get tickets!